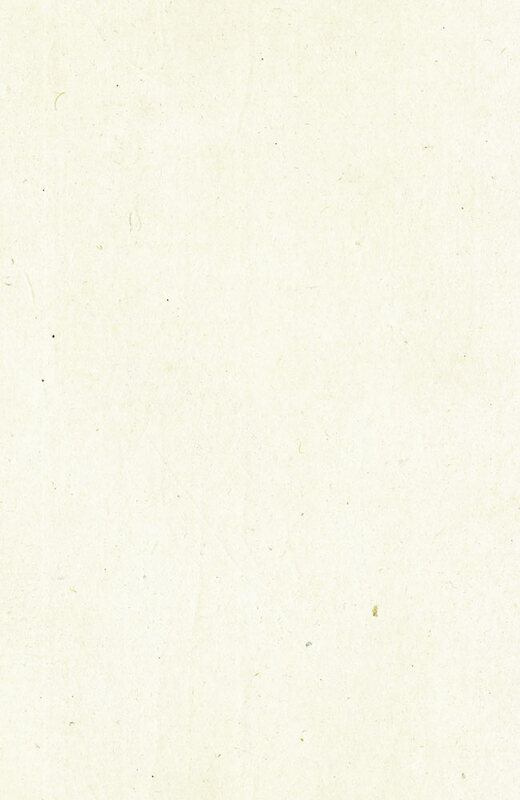 Distribution: Within about 50-100 km of the coast of NSW, VIC, lower QLD and Eastern SA, also Eastern TAS. 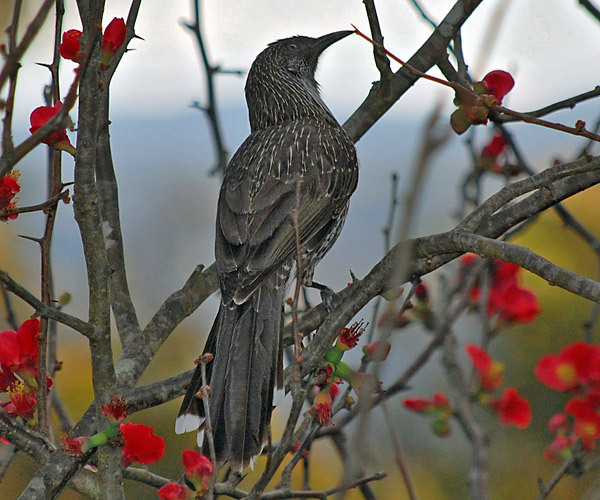 The Little Wattlebird is common in parts of Sydney and many other areas. 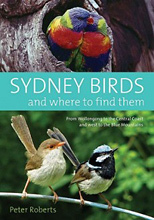 It is found in the Lower Blue Mountains but not in the Upper Blue Mountains (the Red Wattlebird is found in the Upper Mountains). 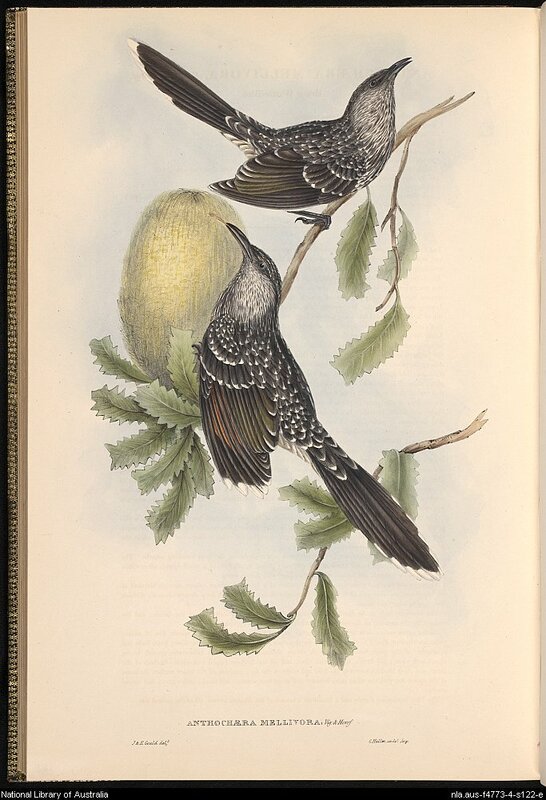 It looks a lot like Red Wattlebird, but without the red flap of skin under its eye (the "wattle"), and it is a darker colour overall with more distinct white spots/stripes. 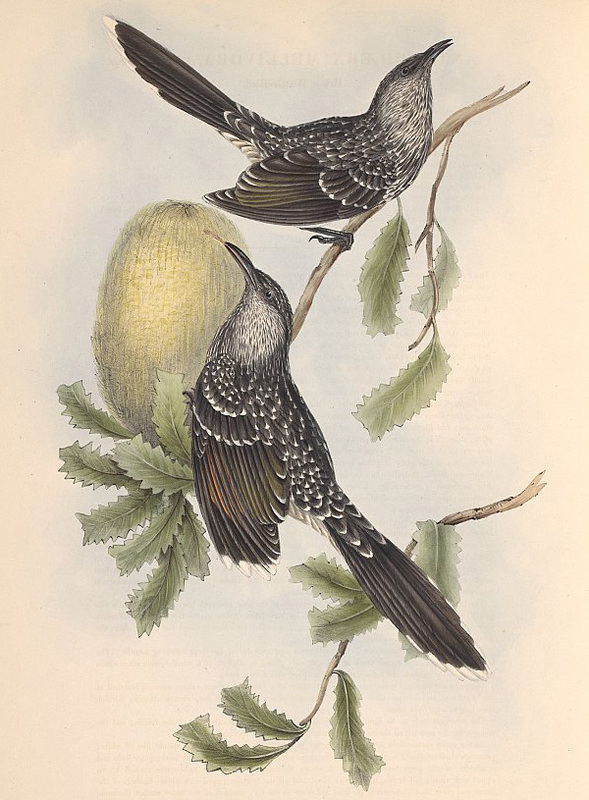 It has a very distinctive call, a bit like an old wooden cuckoo-clock (it imitates the ticking of the clock and also the cuckoo sound), which sometimes can go on for hours at a time.